All Posts Tagged With: "Body Moisturizers"
When it comes to self tanners and Marta Walsh it’s like selling ice to Eskimos. I was born with an olive skin that very easily tanns and sometimes I have a little tan even though I don’t lay in the sun, I know that’s incredible. Also some self tanner smell too strong to me, can be irritating to my skin, and not very moisturizing. 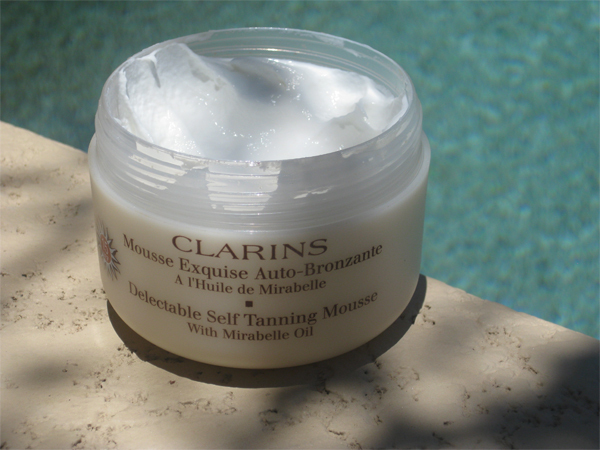 CLARINS Delectable Self Tanning Mousse with Mirabelle Oil: You can view this self tanner as a super moisturizing body lotion and a self tanner in one! This is a Sponsored Post written by me on behalf of KAO Brands. All opinions are 100% mine. Win a tempting trip to Las Vegas for you and 3 of your friends with $1,500 in spending money! How to enter to WIN: Simply check out the Temptation is Beautiful and to learn more about the sweepstakes follow their instructions. * A daily tempting beauty basket filled with KAO Brands best of beauty products, such as: John Frieda, Jergens, Curel, Biore, and Ban will be awarded everyday so be sure to get in your daily entries! * The Grand Prize of a tempting trip to Las Vegas for you and 3 of your friends with $1,500 in spending money! 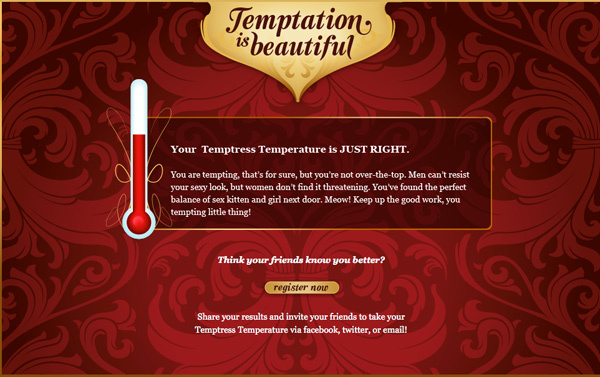 Also make sure to take your Temptress Temperature interactive quiz and Share your Temptress Temperate on Facebook, and Twitter and let your friends know if you are “hot, hot, hot” or “cool as a cucumber”! Also let Talking Makeup know your Temptress Temperature, by simply leaving your comment under this post. I took mine (image above and looks like my Temptress Temperature is Just Right:), the girl who hosted the quiz was hilarious! Remember sharing your score with your friends will get you bonus entries in to the sweepstakes! Rules: Contest is for US Residents only. Official Rules! 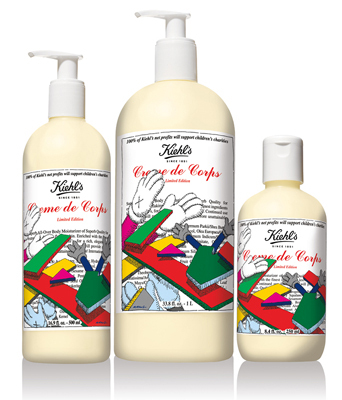 Kiehl’s gives back with Limited Edition Creme de Corps Collection designed by KAWS to benefit RxArt. Maintaining its long-standing tradition of supporting children’s charities, Kiehl’s, the venerable New York-based purveyor of fine quality skin and hair care, is pleased to announce a collaboration with internationally renowned New York artist KAWS, to lend a helping hand to children in need. With the shared vision of creating safer, more sustainable environments for children, the Kiehl’s and KAWS partnership will raise awareness though the sales of the Limited Edition Creme de Corps Holiday Collection, where 100% of net profits from the sale of each product will be donated to children’s charities around the world. BCA Shopping Guide: I absolutely love the Aveda Hand Relief cream. 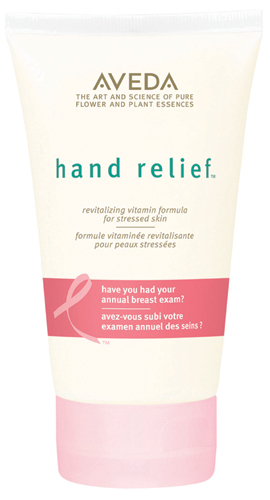 It smells very soothing, it makes my hand soft and hydrated, and it’s not greasy. It’s on my desk at all times and keeps me company all day when my hands needs a little TLC. This is why I’m excited to find out that now there is limited edition version of Aveda’s cult-favorite Hand Relief specially for the Breast Cancer Awareness month. As is tradition, this year Aveda is raising funds for the Breast Cancer Research Foundation (BCRF) by selling a limited edition, 150ml/5oz tube — a 19% increase in size with a 7% savings for guests – of Hand Relief. During the month of October, Aveda will donate $4 from the sale of each Breast Cancer Awareness Hand Relief to the BCRF to help advance the understanding of environmental links to breast cancer. During the month of October, Aveda will donate $4 from the sale of each Breast Cancer Awareness Hand Relief to the BCRF to help advance the understanding of environmental links to breast cancer. 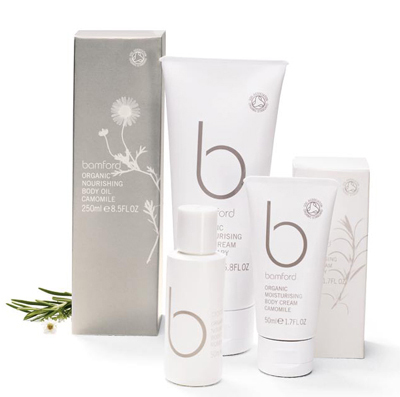 Green & Organic Beauty: Bamford Body collection offers luxury bath items ranging from bath oil to hair care items that are completely organic from each ingredient incorporated in the creation of the brand to the recyclable packaging. Organic Moisturising Body Cream Camomile “soothing nourishment for dry or sensitive skin”, $20-$64. Organic Moisturising Body Cream Rosemary “stimulate your skin”, $20-$64. Organic Nourishing Body Oil Camomile “replenish moisture levels”, $24-$72. Organic Nourishing Body Oil Rosemary “ultimate rehydration and reinvigoration”, $24-$72. As much as we all love summer, the constant flip flop and sandal-wearing can be rough on the heels – literally. 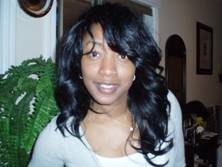 Skyy Hadley of As “U” Wish Nail Spa has the perfect solution: a Meals for the Heels Mask. Take one cup of regular oatmeal and 1/2 cup of regular milk and heat up over the stove, stir until cooked. Add sugar to thicken the mixture, and then let it cool off a bit. When the mix is thickened, apply to your feet. Leave the mask on for about 5 – 10 minutes. The oatmeal soothes dry, itchy or irritated skin, while the milk acts as an exfoliant to help get rid of dry and dead skin cells. 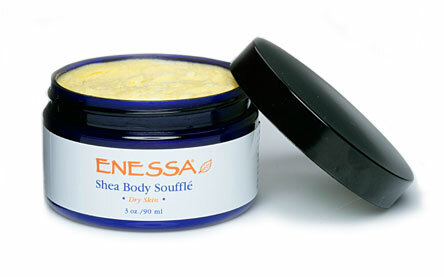 Finish off with pure shea butter as a moisturizer and you’re all set. 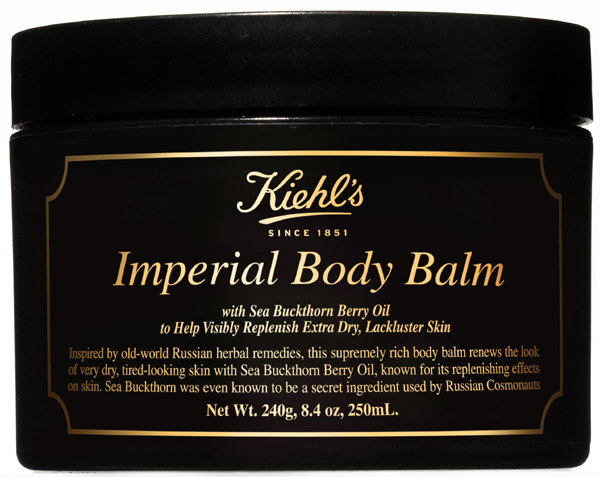 Kiehl’s introduces Imperial Body Balm: Featuring a new Kiehl’s ingredient, Sea Buckthorn Berry Oil, known for its skin regenerative capabilities, Imperial Body Balm is now Kiehl’s richest all-over body moisturizer, and was inspired by Russian honey-based remedies. Deeply hydrating Cocoa and Shea butters nourish while Honey and Fruit Glycolic Acids accelerate surface skin cell turnover in a formula that immediately delivers a renewed smoothness and youthful radiance to extra-dry, dull skin. A warm, sweet and spicy fragrance adds to the luxurious experience. Also, for a unique companion to this new body treatment, Kiehl’s is introducing this balm with a fragrant Kusmi Tea, featuring Sea Buckthorn Berries, developed especially for Kiehl’s, which will be available exclusively in Kiehl’s free-standing stores and Kiehls.com. 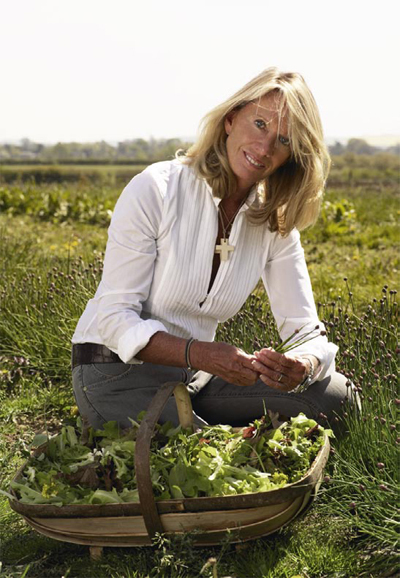 Liz Earle Naturally Active Skincare launches new Superskin products: Due to popular demand and skincare necessity, Liz Earle has created a comprehensive range of super-rich and extra-powerful solutions for the body, bust, lip and eye areas under the Superskin line. Containing ingredients such as kigelia and shea butter, these products aim to plump and smooth while helping the skin appear more youthful from head to toe. Superskin Body Cream is the ultimate in body moisturizing luxury, designed to visibly enhance and rejuvenate your skin. Specifically formulated with powerful naturally active ingredients rich in GLA, omega 3 and antioxidants, this body cream helps mature or very dry skin look and feel alive and replenished. Superskin Bust Treatment is a powerhouse product packed with skin nourishing ingredients including Mangosteen that is sourced from a community-based sustainable forestry project in Malawi. Mangosteen extract is blended with quince extract, green algae extract and white lupin protein to help firm and tone the often neglected bust area.